Match Report: Home T20 v White Hunter. PPCC took on the might of White Hunters CC, a name steeped in the history of felling giants of the animal kingdom. Petworth were next on the list to be stuffed and placed on a hunting lodge wall, but for once the hunter became the hunted. 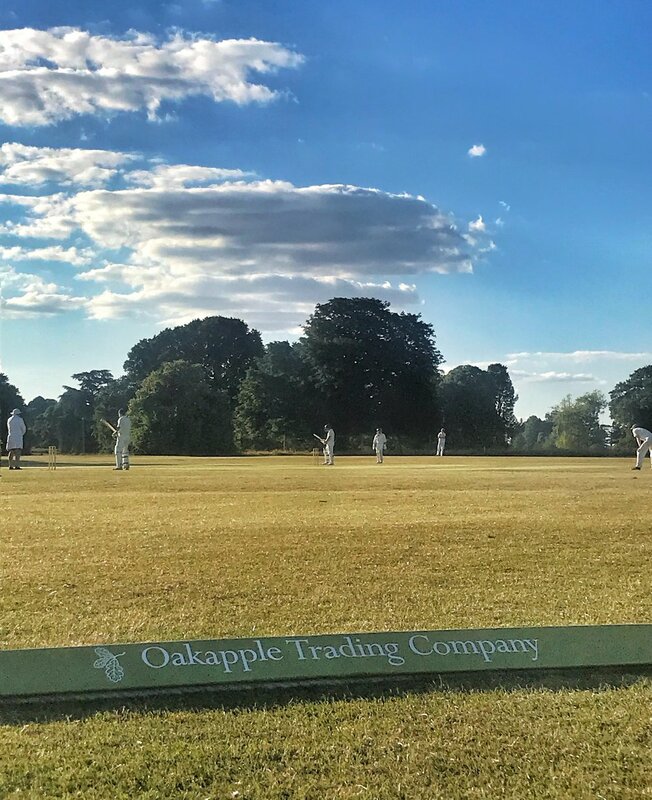 Batting first on a flat pitch in beautiful early evening sunshine, skipper Adam Downing smacked some mighty early boundaries retaining a lot of the strike and making full use of it. Inexplicably missing a straight one and paying the price, he was followed by Ed Bayne, who was also bowled fairly sharply into his innings. A pause ensued while Simon Johnston and Alex Rees rebuilt and took Petworth deep into their 20 overs. Like England of old they pounced in the final 5 overs with Johnston retiring on an unbeaten 51 and Alex Rees striking 39 excellent runs from not many balls. Chris Baldwin chipped in with 6 not out and PPCC had a decent total of 142 off their 20 overs. The White Hunters reply was akin to a wounded, cornered animal – they came out fighting. Petworth bowlers Simpson, Ford, Baldwin and Hughes came in for a bit of stick with the Hunter openers taking the score to 89 off 10 overs. One over from Ed Bayne changed everything with two wickets and a run out - immediately placing the opposition on the back foot. Petworth kept their foot on the Hunters' necks as Alex Rees bowled very tight lines not conceding a run in his spell. Bayne continued to pick off batsmen seemingly at will, taking another couple of wickets in his following overs, and Adam Downing chipped in with his Warne-esque legspin from the other end. With only 12 runs coming from overs 10-18, Petworth were now in a commanding position and eventually put the White Hunters out of their misery winning by a fairly comfortable 31 runs. A delicious BBQ followed and it was firmly agreed that there could not be a better way of celebrating the ancient rites of the Summer Solstice than playing in such a stunning location with the sun shining and the humour good. 2 wins in 2 for PPCC and Ebernoe had better watch out on Sunday. Champagne moment: A Rees hitting a six onto the oppo’s scorebook. Comedy moment: Simon Johnston’s snooker queue.